We're just trying to save the earth. 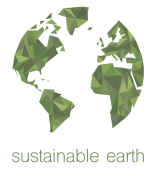 Here at Sustainable Earth, we get involved with green practices around campus, the city of Pittsburgh, and the United States. But our mission doesn't end there; our goal is to promote practices that will positively influence the world. Below are some links to some of the activities and events that we are involved with. You can also navigate through the menu bar. We promote composting, and have composting events on campus. Working to have our school invest in our future, not in our past. We are part of a community garden, where we grow organic fruits and vegetables. The headquarters: where people are practicing sustainable living. Change starts here; we have projects right on university grounds. Events and conferences that we get involved in, both local and global.